In this article, I will give you the insight and advice you need to effectively use humor in your eLearning deliverables. This article offers a variety of tips on how to use humor in your eLearning courses or online training events, without stepping on any toes or compromising your learning goals. As any experienced eLearning professional will surely attest, when using humor in eLearning there are certain unspoken rules that one must follow. After all, what one learner may find hilarious, another might find offensive. For this very reason, I've decided to share a variety of tips that can help you to effectively use humor in your eLearning courses or online training events, so that you can successfully walk the fine line between entertaining and educational. Research your audience to assess culture, experience, and personality. Individuals with different backgrounds and experiences, both personal and professional, have different ideas of what's funny and what's off putting. So, you'll probably want to do a fair bit of research into the backgrounds of your learning audience in order to figure out their definition of humor. This also pertains to their personality. While clearly not every member of your learning audience will have the same type of personality, you can get an accurate sense of what the majority of them would find amusing through surveys or interviews of a few “ideal” learners. If you want to go that extra mile, you can even hold a focus group wherein you can show them clips that feature various kinds of humor, or stories that offer different humorous approaches, so that you can determine what might effectively work in your eLearning course. Don't let the humor overshadow the subject matter. The problem with using humor is that it can very easily get away from you. By that, I simply mean that it can end up overshadowing the subject matter to the point that your eLearning deliverable doesn't offer any real value to the learners. When using humor in your eLearning deliverable, it should emphasize the core content and make it more entertaining, but it should never steal the show. For instance, if you are integrating a humorous story into your eLearning course, it shouldn't include so many funny characters or elements that your learners lose sight of the fact that there is actually a lesson to be learned. Use humor in moderation, so that you don't lose credibility, and so that your learners can still see the real world benefits or applications of your eLearning course. Create entertaining stories and examples to highlight the subject matter. Jokes, witty quotes, and funny interactive scenarios aren't the only way to bring humor into your eLearning deliverable. In fact, you can create stories and real life examples that highlight the subject matter while entertaining your learners. Stories and examples also help them to more profoundly relate to the content, which means that they are more likely to become immersed and engaged in the educational experience you've created for them. Rather than just reciting a long list of facts or concepts that you want your learners to acquire and absorb, you can offer them the chance to gather this new knowledge in a way that is both enjoyable and educational. You may have to get a bit creative when it comes to integrating stories into your eLearning course, especially if you are dealing with a subject matter that is dry or highly complex. If this is the case, then you may want to consider turning to the internet for anecdotes that you can tie into a particular aspect of a module, or quotes that can easily be integrated into your eLearning course. Keep the tone upbeat and motivational. One of the most invaluable tips I can offer for how to use humor in eLearning is to keep it inspirational and positive. Avoid using humor that is crass, self deprecating, or any other variety of wit that has a negative tone or connotation. If it's going to offend someone in any way or make him/her feel even remotely uncomfortable, then leave it out. Every instance of humor you use should convey an optimistic tone, so that your learners feel motivated to learn and inspired to do their very best. You can begin your eLearning course by including a small dose of humor in order to get off to a great start, such as a brief joke that sets the mood or a character whose personality is fun and welcoming. Moreover, before an assessment you can include a cartoon or quote that offers your learners a humorous self confidence boost, so that they are inspired to give it their all. Keep it upbeat, so that your learners feel supported and encouraged throughout the educational process. Where you use humor is just important as how you use it. An eLearning deliverable that primarily consists of humor isn't going to offer as much value for your learners. This is why you'll want to use humor wisely, so that you are able to retain the true value of the overall eLearning experience. Knowing where you should use humor throughout your eLearning course is key. In some cases it has the power to alleviate tension or stress, such as right before a big exam, and in others it can serve as a highly effective tool for making the subject matter more relatable, as is the case when it's used in storytelling or real world examples. Therefore, you'll want to pay close attention to the emotions you are trying to create through the use of humor in eLearning, so that you can integrate it in a powerful and meaningful way. 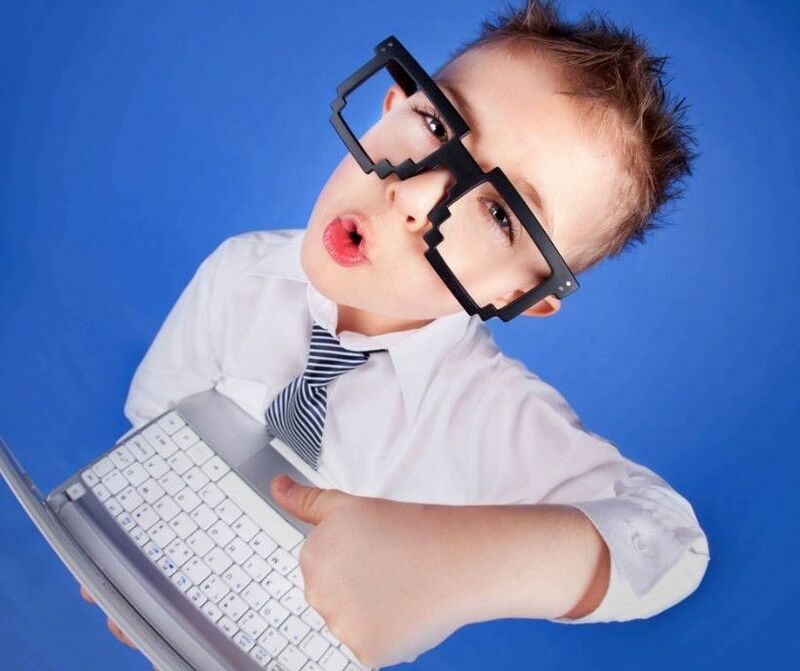 These tips can help you to add humor to any eLearning deliverable. Just remember, as is the case with all good things, humor should be used in moderation. In addition, keep it relevant, lighthearted, and always consider the background of your audience in order to engage rather than offend. Integrating cartoons is one of the most effective ways to add humor to your eLearning course. The article The 5 Best Free Cartoon Making Tools highlights the 5 best free cartoon making tools online, which you can use to entertain and engage learners of all ages. Moreover, if you're ready to motivate your learners and get them excited about your eLearning deliverables, read the article How to Use Avatars in eLearning to find out the top 10 tips on how avatars can become an invaluable instructional aid in your next eLearning course.